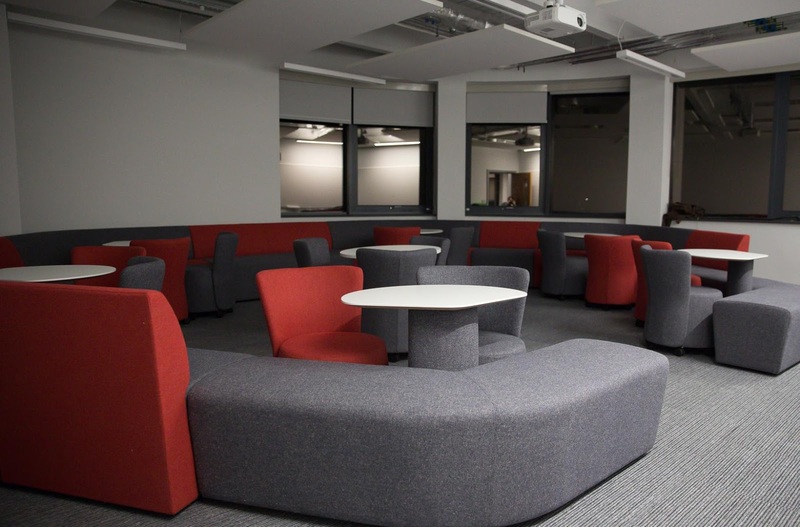 As well as providing a lecture theatre and 23 high quality collaborative seminar rooms, the Spring Lane Building has three more learning spaces above the lecture theatre. 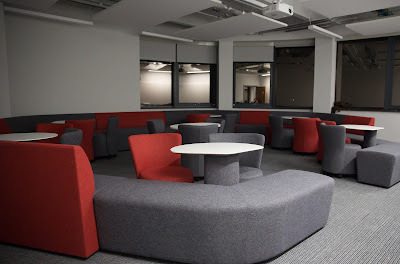 Each has a different, innovative, furniture layout and soon one with a new technology mix to match. SLB/211, which opened for bookings this week has a mixture of bench seating and movable seats. The island tables make this room ideal for sessions involving a lot of impromptu group work, reconvening back to a whole group discussion. 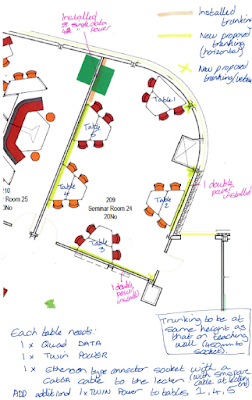 SLB/210 is our agile lab, with everyone able to face the presentation zone with having a writing surface, also supporting use as a collaborative layout with additional chairs at the tables – as well as a centre table at the front with additional furniture to break out. 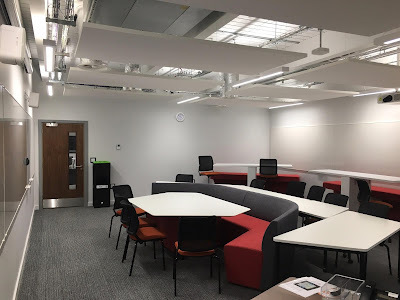 SLB/209, due to open early spring, will dispense with projection entirely and instead feature five screens mounted around the room – each for a group of six to use a dedicated PC, a laptop or view slides from the teaching position. I know our friends over in the E-Learning team are looking forward to this one! 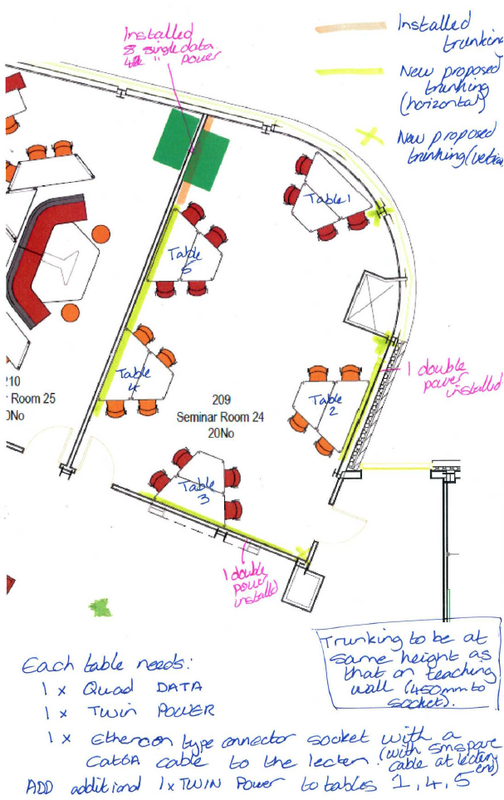 And, when the class is over, there’s a great mix of informal learning spaces directly outside the spaces to continue discussions.